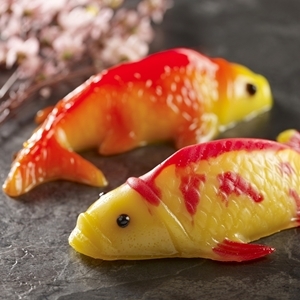 The Nian Gao symbolize the raise to greater heights in all endeavors of the coming year. It is a basic necessaity in all Chinese households during the Lunar New Year! ** We provide FREE delivery for minimum purchase of S$150 & above within Singapore. Otherwise, a delivery charge of S$10.70 is applicable. Symbolising raising to greater heights in all endeavors of the year, this colourful and pretty Nian Gao is popular in the Chinese Culture, especially during Chinese New Year. It is an auspicious symbol, not only nice to look at, but delicious to eat! 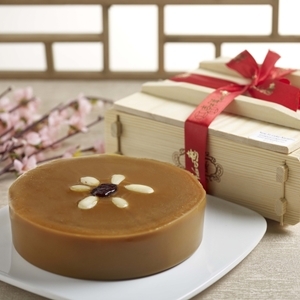 New Year Cake or ‘Nian Gao’ is a must-have during Chinese New Year, it generally signifies ‘growth’ or ‘progress’. Parents will want their children to eat ‘Nian Gao’ so that kids will grow up well & healthy while youngsters will make good ‘progress’ in their studies or careers. Our New Year Cake is vacuumed-packed and rich in ingredients. Simply steamed it to enjoy.